Some things you’re just born into. Different external factors effect this—your geographic location, family history, race—all materialize upon one entering the world. For some, the outcome is good, even great; others, not so much. 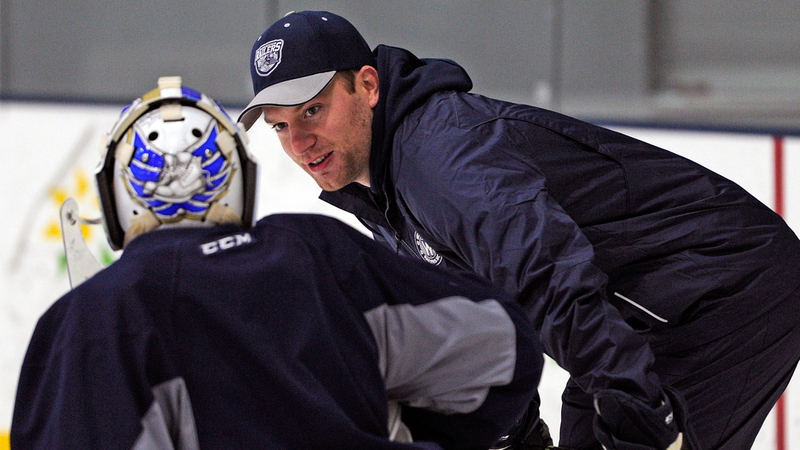 Derek Army, the Worcester Railers HC’s new assistant coach, made out pretty well. He was born into hockey. Derek Army was born in Providence, Rhode Island to parents Sue and Tim in 1991 to a life of rinks, travel, and a slew of locker-room entrances and exits. 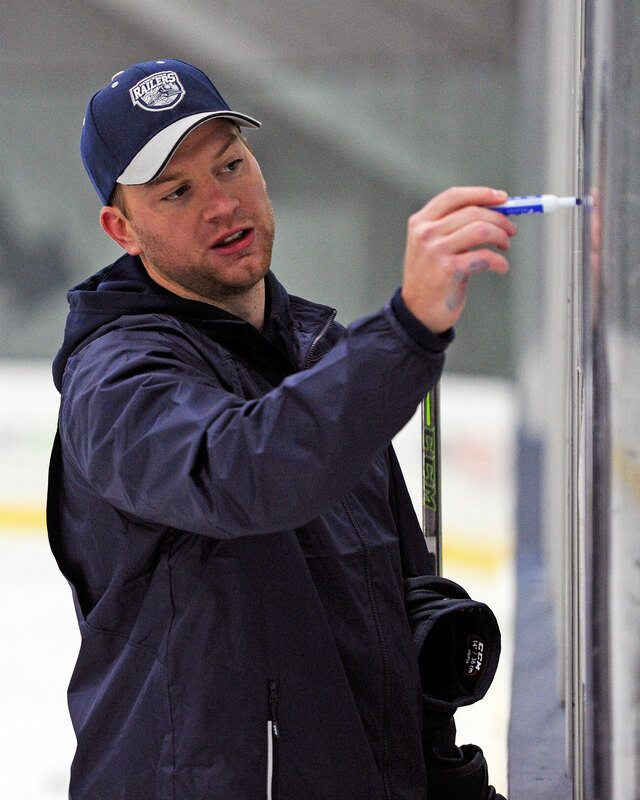 He makes his latest entrance to the Worcester Railers HC’s locker room—this time as a coach. 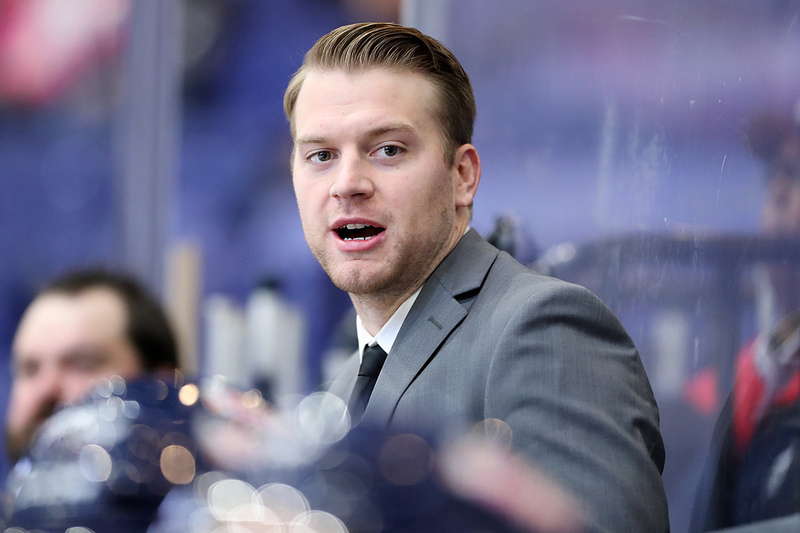 The 27-year-old begins his coaching career as the assistant coach for the Railers going into their second season in the ECHL. Last year’s assistant coach, Terry Bangen, retired from coaching after a long career with stops in the NHL, WHL, and ECHL. It was time for him. And it’s now time for Army to fill in and help lead Worcester through another strong season. In a way, by joining the Worcester Railers as a coach, Derek Army is joining the family business of hockey. His great-grandfather George Army served the Providence Reds (AHL) as trainer, his grandfather Tom Army was an official scorer for the Providence Bruins (AHL), and his father Tim Army continues his storied career as a coach, in which he now serves as the head coach of the Iowa Wild (AHL). Tim brings 30 plus years of experience to his new position as head coach of the Wild. 27 of those 30 years, his son Derek was around the game of hockey. All the while Tim was manning benches—and he manned many including Wilkes/Barre Scranton Penguins (AHL), Colorado Avalanche (NHL), Washington Capitals (NHL) , and Portland Pirates (AHL) to name a few—Derek and his brother Travis were trailing along, absorbing everything like sponges. Much like playing, coaching or working in sports demands lots of travel. By the time Derek graduated high school he estimates he attended six or seven different schools. Constant relocation at a young age is difficult for some, but Derek contends it helped the development of him both as a person and a player. All that moving around—new schools and new friends—made the transitions of that of a professional hockey player all the easier too. Derek didn’t go through the motions as a player. He totaled 59 goals and 71 assists for 130 points in 159 games in the ECHL and 11 goals and 15 assists for 26 points in the AHL. He doesn’t plan to go through the motions as a coach either. But there will be some challenges and adjustments to make. For starters, he’s telling guys what to do now and some will be older than him. Challenges, expectations, and pressure, however are not unchartered territory for Derek. As a freshman on the hockey team at Providence College he had some big shoes, or skates, however you want to put it, to fill as his father and grandfather both preceded him with standout careers as Friars. Both his father and grandfather served as captains at Providence. On top of that, his father Tim coached him his freshman season. Something else happened while Derek was playing hockey at Providence College. He met Railers head coach Jamie Russell. The Railers head coach served as an assistant coach during Derek’s sophomore, junior, and senior seasons at Providence. Did he ever imagine they’d coach together? Years later, the two are back together, this time as co-workers with the same goal they shared at Providence: to win.